Arkansas Skatium is both an ice rink and roller rink skating venue. From youth and adult ice hockey and figure skating, to family and special event skating in the roller rink, the Arkansas Skatium offers something for everyone. Also, the Arkansas Skatium is a great place to have a party! Parties can take place in either the roller or ice skating side, and can be held during public skating rentals times, or as a private rental time. 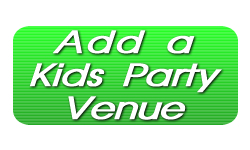 Check out the website for a number of various party packages offered or find more information on Arkansas Skatium. Fun Factory of Cabot is a perfect location to throw a kids birthday party in Arkansas. For a hassle free celebration where we take care of all the work – book your party now online on our website. We have many party packages available for you to celebrate that special event occasion in our huge 10,000 sq. ft. indoor inflatables facility. Your party will feature its own private room and we take each and every party into consideration for your guests and you to have a fun, creative time!